Go all out this Halloween with Frankenstein Contact Lenses. Are you dressing up as Mr Stein or just going out to a party? Check this range out because there are some awesome designs which will freak everyone out. 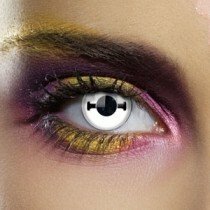 You can wear these lenses for up to one year after opening. Why not try the Bolt Contact Lenses this Halloween.